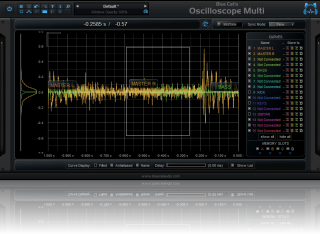 "The all-at-once waveform visualizer and comparator." 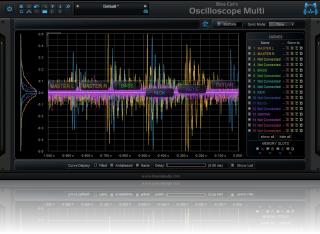 There aren't that many oscilloscope plug-ins available at the moment, and Oscilloscope Multi compares pretty well to similar software [...]. It's definitely slicker [...] and certainly boasts more features. Two instances of the plug-in per session. The plug-in is frozen for a few seconds every 45 seconds. Fixed MIDI and automation settings that were reset when using undo. 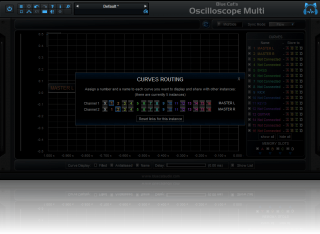 Curves names can now be displayed on the graphs (overlay). XY curves can now be saved in memory slots. 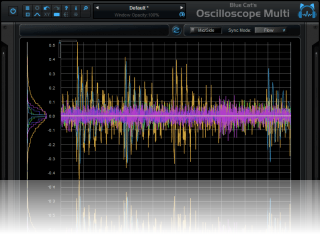 XY curves can now use waveform memories to compare with saved waveforms. 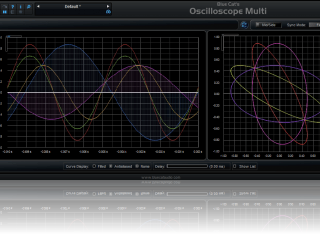 Increased the default output data rate (from 20 to 50 Hz) for smoother curve display. 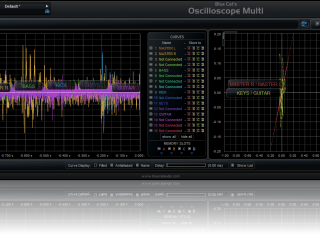 New trigger mode: the oscilloscopes can now be synced using a trigger, based on the value and direction of the incoming audio signal. 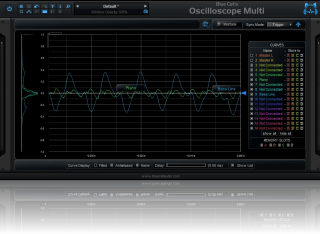 New delay compensation feature to compare out of sync waveforms. You can now directly drag rulers when zoomed: no need to select the drag tool. Win: fixed incorrect version number displayed in the installer. New manual sync capability to manually trigger multiple instances synchronization. 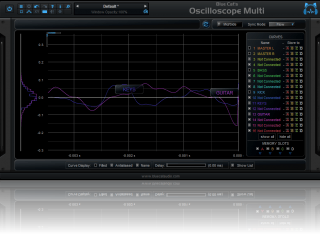 DirectX version: improved multiples instances synchronization on multiple processor machines. New density and time zoom controls for a better analysis experience. Added an option to connect the XY curve points. 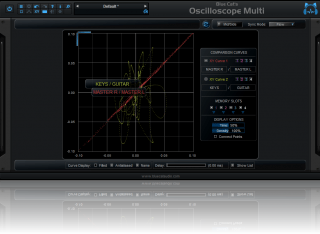 The xy view can now display two curves for comparison.